Hey there. 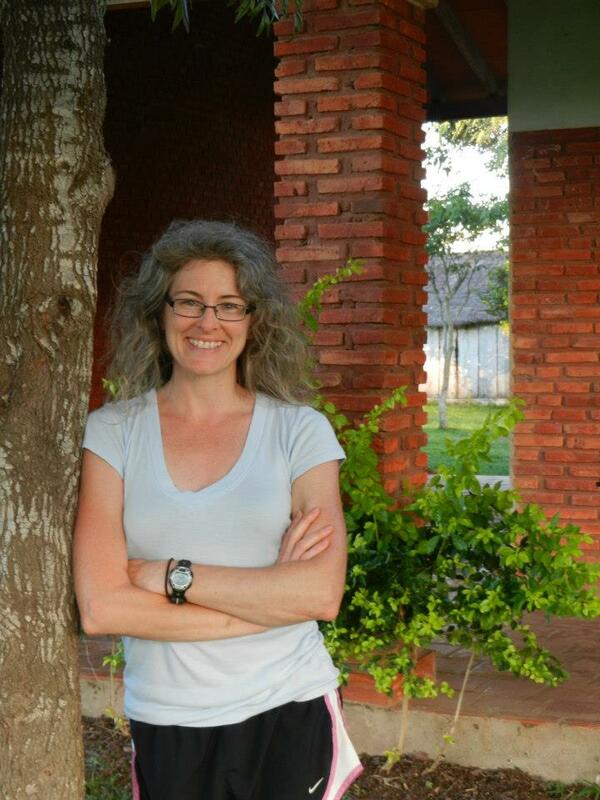 I’m Wendy Ward and this blog is an account of my current Peace Corps service in Paraguay, South America. I arrived September 2012 with 53 other new volunteers in the agriculture and environment sectors. 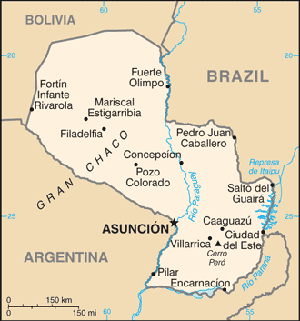 PC Paraguay is one of the largest posts in the world. Peace Corps has been on my bucket list for 25 years. Why? Because I have always had passions for life, kindness, helping others, culture and adventure. And I never like to let myself get too comfortable in life. When things get comfortable, it’s time to mix it up! Peace Corps is a wonderful way to give back to humanity some of what it has given to me. My service is focused on helping small family farms learn about sustainable agricultural practices, beekeeping, improving family nutrition and food security, increasing farm income, and more. Over the past year, my community has started a seed bank, received a grant to build solar food dryers for families (using the sun to dry fruits, veggies and meats for consumption during the low-production seasons), formed a women’s club and a youth club, and started a kids’ English class. In turn, I’m privileged to learn their native language, guarani, have señoras teach me to cook the local food, and learn much more about their culture, while forming deep friendships along the way. So far, these people and the country have taught me so much more than I can ever offer them. 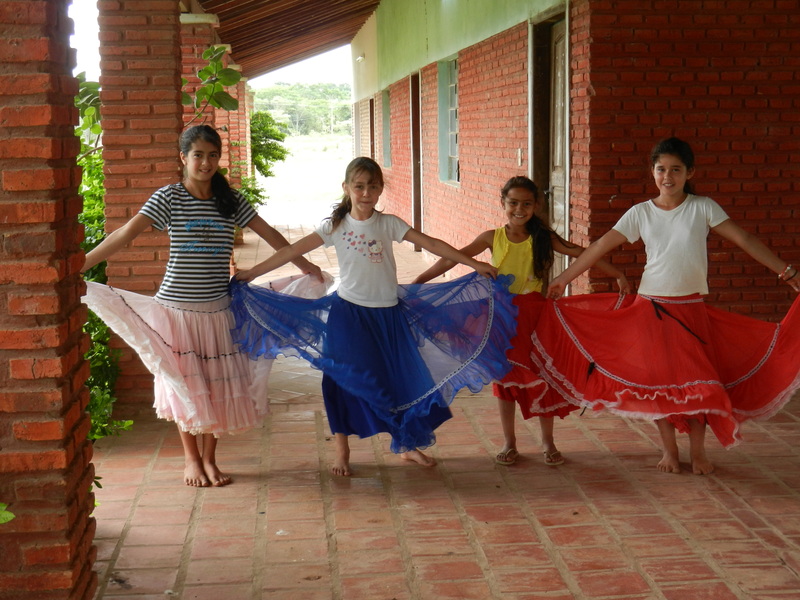 Local girls practicing a traditional Paraguayan dance to celebrate the end of the school year. They love their fancy skirts! Thanks for coming along on my adventures … I feel so grateful for this life I’m living and being able to share it with you! I pinch myself daily in disbelief that, in learning to follow my heart and having the guts to live a life out loud, to be fully alive, to follow my soul’s deepest yearnings, I am really pursuing this dream, no regrets…yup, I am farming in the heart of South America. Wow. If you’d like to contact me personally, submit your comments using the form below. I look forward to hearing from you! Hi Wendy! I am Cynthia Pappavasiliou’s mother. She sent me your blog because she also is very proud of the steps you have dared to take in following your dreams. You seem to be very happy where you are in life right now and I also admire your “guts” to do something so totally opposite of a lifestyle you were living. Even more astounding being 42 years young! Hang in their. I’ve enjoyed reading your posts and look forward to more. Sounds like you’re learning much and teaching more. Best wishes for more adventures. I am so inspired by your journey and courage. You are living a full, rich and meaningful life. Thank you for sharing and creating this blog for us to saturate ourselves during the long Maine winter! I can’t wait to learn more…. I miss you and love you so much! I love reading your blog! You’re am amazing writer, you should consider penning a book while in Paraguay! I can’t wait to read this post to Bob–he asks about you often. He is still very worried about you! We will miss you next Saturday, but hope that you know we are all thinking of you! Our family is so proud of you for following your dreams and becoming such an inspiration!